EDTA, a common ingredient found in skin and hair care products, is an effective chelating agent, binding to metal ions making emulsions more stable and allowing washes and soaps to develop that thick, rich lather we love. EDTA also helps boost preservative effectiveness making it a standard choice for cosmetic formulators. However, as consumers are increasingly aware of ingredients in their products, and using the internet to research ingredients, they are choosing more environmentally friendly options. Suppliers and manufacturers are responding by creating alternatives that address consumer concerns. What’s the Problem with EDTA? If searching online for information about EDTA, one could easily become confused by an overwhelming amount of often conflicting information. To put this in context – Have you ever tried to diagnose the cause of a cough online? If so, it’s easy to follow the most negative information down the rabbit hole until you’ve convinced yourself you have lung cancer when in fact, all you have is a common cold. Consumers are also increasingly concerned about the biodegradability of EDTA. Made from common organic molecules ethylenediamine, formaldehyde, and cyanide EDTA is technically considered biodegradable. However, the rate of degradation is extremely slow and varies greatly with the bacterial population in the ecosystem. There is also debate about whether EDTA is a persistent organic pollutant. Regardless of whether or not the internet agrees EDTA is safe, one thing is clear, consumers do not want to see it in their products and are demanding better alternatives. 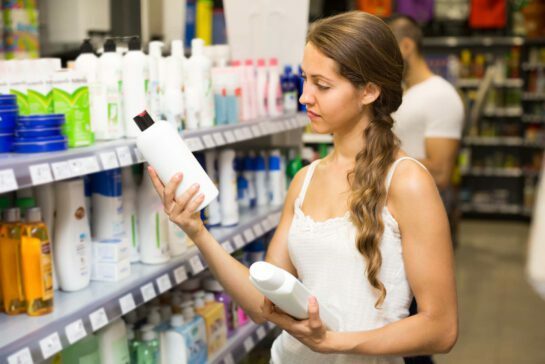 Due to increasing demand and our commitment to sustainability and reducing our environmental impact, Essential will begin removing EDTA from stock products and replacing it with Tetrasodium Glutamate Diacetate. Private Label customers can choose to continue using EDTA or switch to Tetrasodium Glutamate Diacetate. What is Tetrasodium Glutamate Diacetate? Tetrasodium Glutamate Diacetate is a multi-purpose, clear, liquid chelating agent and preservative booster. A major advantage of Tetrasodium Glutamate Diacetate is its excellent properties regarding human toxicity and environmental impact. Based on Monosodium L-glutamate, a natural and renewable raw material produced by biochemical conversion of vegetable material, Tetrasodium Glutamate Diacetate is readily biodegradable, with high solubility over a wide pH range. Compared to EDTA, it demonstrates enhanced preservative boosting power, and it is not toxic to cells or genetic material. Because it is produced from vegetable matter, Tetrasodium Glutamate Diacetate is easily biodegradable and easily consumed by micro-organisms. Tetrasodium Glutamate Diacetate serves the same function in formulations as EDTA, more effectively, without the health and environmental concerns. What Effect Does this Change Have on Ingredient Decks? The FDA requires manufacturers to update ingredient decks immediately to include any ingredient changes as they occur. Don’t panic; this requirement is only for manufacturers. If you have already printed labels with EDTA on the ingredient deck, the FDA states that you can still use those labels until you run out. When you order new labels, they must include the updated ingredients. Essential has already replaced EDTA with Tetrasodium Glutamate Diacetate in two products; Herbal Crème, and Wild Oats and Honey Masque. We will continue to remove EDTA from stock products, and you will see these changes both on the website and on the ingredient decks as they happen. It will take us some time to work through switching from EDTA in the stock products Essential makes. We will be sending notices to all customers via E-mail, as EDTA is replaced in products they have purchased in the past. PART 172 — FOOD ADDITIVES PERMITTED FOR DIRECT ADDITION TO FOOD FOR HUMAN CONSUMPTION Subpart B–Food Preservatives Sec. 172.120 Calcium disodium EDTA. Frank, R; Rau, H (1989). “Photochemical transformation in aqueous solution and possible environmental fate of Ethylenediaminetetraacetatic acid (EDTA)”.